This building encapsulates the Client’s vision for a new modern commerce teaching centre that incorporates modern learning environment principles to teach and inspire the next generation of entrepreneurs. The centre is comprised of two specialist classrooms, two standard classrooms, leadership and seminar rooms and staff facilities. 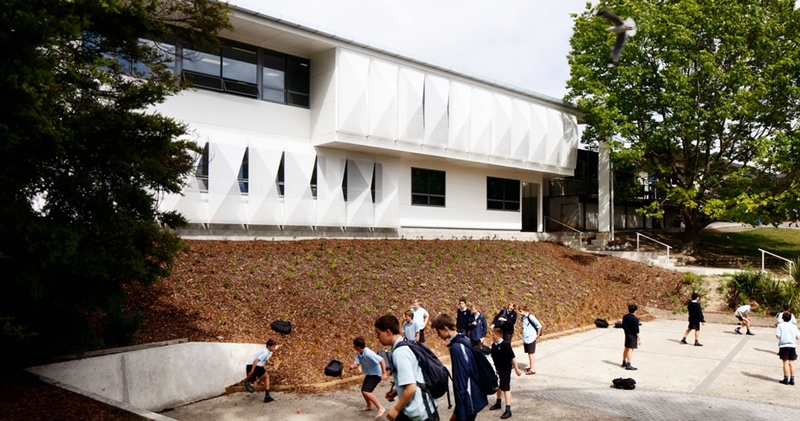 A modern expressed architectural language has been designed to inspire students and differentiate the building from others in the school with spaces which foster collaboration, learning and innovation. 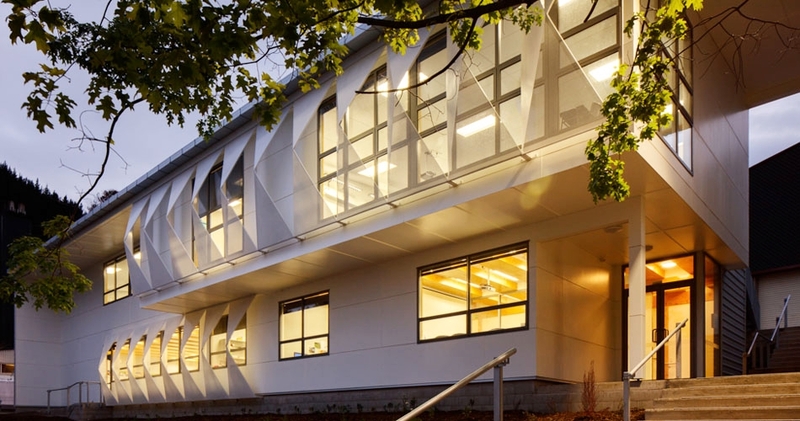 Whilst the exterior of the building is simple and efficient, it is articulated with the sculptural folded sun screens, and generous canopy which signals and shelters the entry. The design uses a light weight LVL timber structure with a high level of prefabricated elements from local Nelson sources.